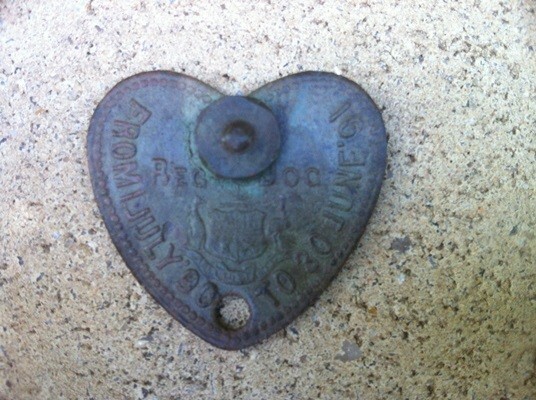 Woke up to great weather and no work so it wasn’t hard to spend the day detecting. I always go past my local beach on my way out to see if there are any good wash outs that may be worth investigating and it sure did look promising. 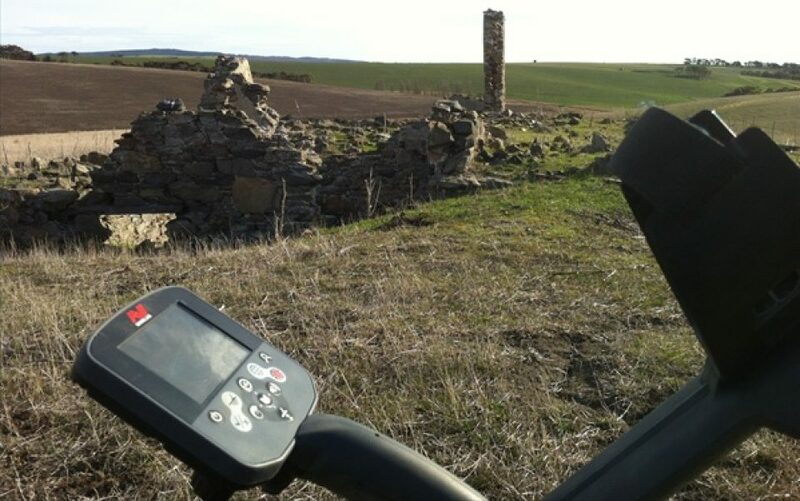 After about fifty sinkers and $4.40 my hopes of finding a ring or two had blown out the window so I decided to hit an old site that I did with a mate a couple of weeks ago. One of my favourite little producing spot for goldies ($1 & $2 coins) was on the way and I was pretty confident I could get some fuel and lunch money for the trip. It is a small area and I cleaned up scoring forty dollars in about half an hour, things were starting to look up after a dismal hunt at the beach. There isn’t much more than a pile of rubbish and a few tell-tale fruit trees left at this old site but it sure has produced some great finds in the past. First target out of the ground was an 1863 Britannia penny followed up with an 1864 Britannia half penny, wow that coin was minted 100 years before I was born making it 150 years old. Not bad considering South Australia was settled in 1836. 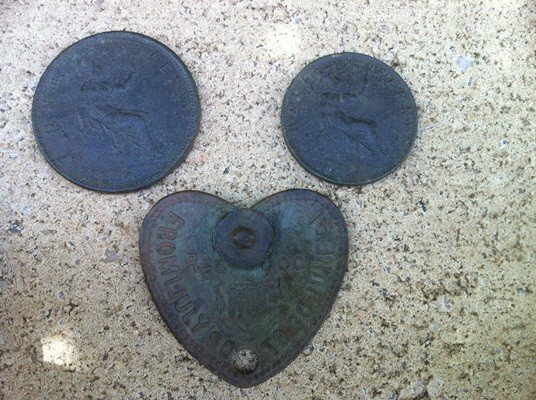 I was hoping for another cricket buckle from this site as I had found two here previously but it was a steady flow of the typical relics at these old sites. 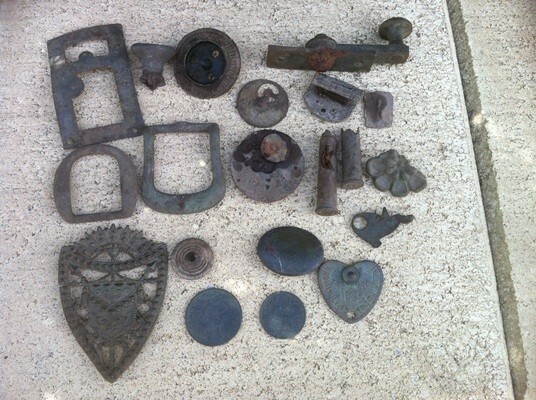 Harness buckles, harmonica centres, watch insides and a mixture of all sorts of copper and brass bits and pieces surfaced before I scored a nice 1890 -91 SA dog registration disc. I never tire of finding these even though they are quite common as they are so unique with all their different shapes and sizes. 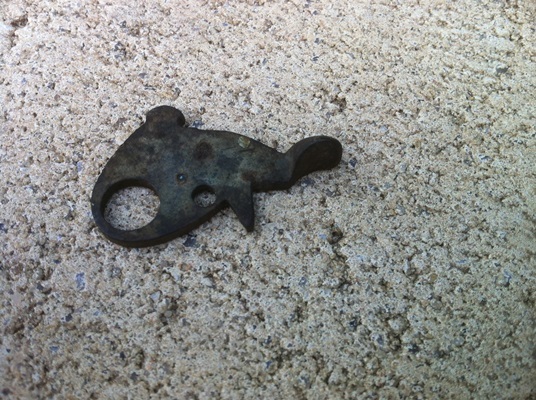 One of the objects I found was what appears to be part of a trigger mechanism possibly from a shotgun but I am not that certain. I kept at it for about another 10 minutes before I found what I think could well be a sash buckle, it measures 8cm x 6cm and has a clasp on the back. 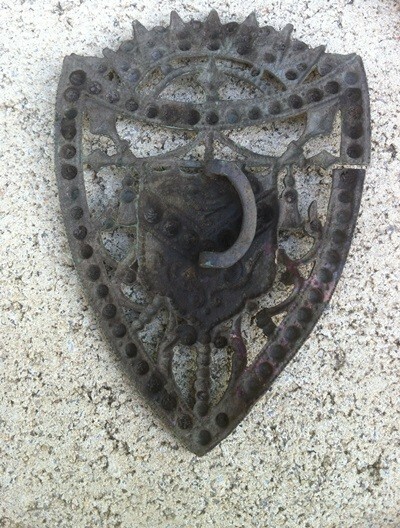 Unfortunately there is no writing on it anywhere to identify it so it is a bit of a mystery item. I was a bit surprised when the CTX 3030 locked on to a target that was either right on the surface or just below, all I did was move the dry grass out-of-the-way and there it was laying on the surface. 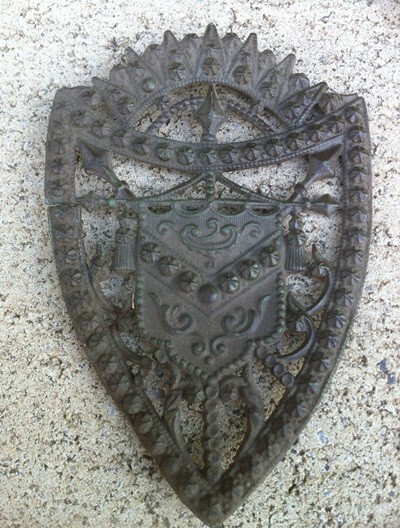 I would appreciate if anyone knows what it is if they could leave a comment for me thanks and happy hunting.